Au Science Magazine is a glossy publication and blog produced by the Science Journalism Society at the University of Aberdeen which aims to showcase research taking place in Aberdeen’s universities and share the passion of its contributors for science. Au Science Magazine, along with its accompanying website and associated public events, attract high levels of interest, participation, discussion and commentary from people in all walks of life — from the general public to students, educators and scientific researchers alike. We pride ourselves on being able to share interesting, entertaining and high-quality science journalism in digital and traditional printed formats with a diverse and worldwide audience. Student members of the Science Journalism Society are responsible for everything from obtaining funding to the editing, design and publication of Au Science Magazine. We rely entirely on funding from advertisers and partners and we are therefore always willing to consider new partnerships to help us keep the printers (and servers) running! If you would like to learn more about what we do or help us to fund the magazine then please don’t hesitate to get in touch at ausminfo@gmail.com. 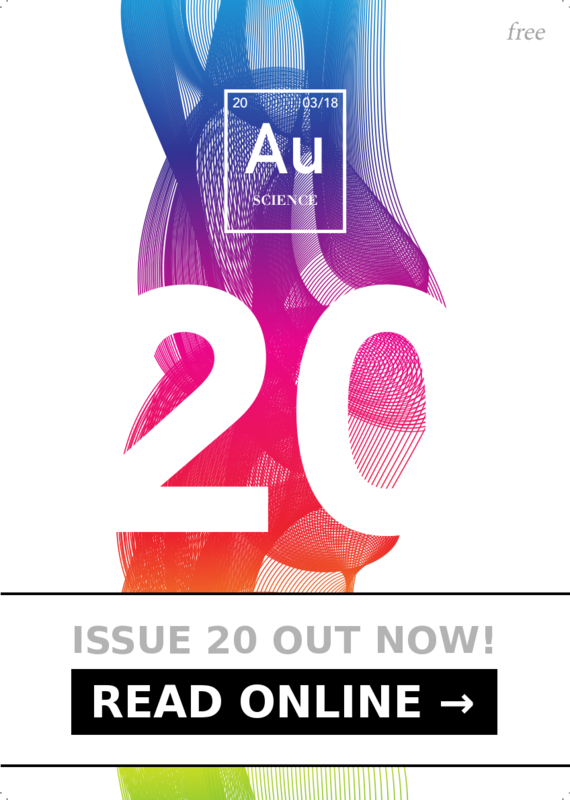 Au Science Magazine is a colourful, exciting and accessible publication that conveys the many wonders and fascinations of science through high-quality, consistent and accessible science journalism with a special focus on research originating in Aberdeen. Published 3 times per year to coincide with major university term and local science events, Au Science Magazine is completely free to readers in digital and traditional printed format. The traditional printed format of the magazine is distributed across Aberdeen at fixed locations and local events, including all of the main University of Aberdeen buildings on every campus, as well as during science conferences and events around the United Kingdom. Accessible to lay readers and aimed at readers aged 17 and above. Triannual publication to coincide with, and be of interest to attendees of, major local science events in Aberdeen: including the May Festival, British Science Week, and Techfest. Distributed widely and strategically in science buildings, libraries and student hang-outs across the University of Aberdeen campuses, and in bookshops, coffee shops and cinemas throughout Aberdeen, as well as at several science conferences and events around the United Kingdom. Quickly expanding website featuring regular publication of new online articles and free digital access to all past and future issues of the magazine in several common formats (this currently includes a magazine-style embedded reader and Portable Document Format or PDF). If you like the sound of this and would like to get involved with the production of the magazine or website then head over to the Get Involved section where you can find out more and get started!